Ok so I am still linking up with Jenna and she asked us to post about why we blog and what we blog about! 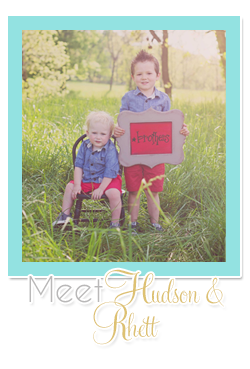 I started blogging in January of 2010 right after my husband and I found out we were expecting our first baby. I wanted to use my blog as a way for our friends and family to keep up with us and hear all the fun baby news easily. Since then I have started blogging monthly posts about Hudson and some other themed posts I try to do weekly. -I like to coupon and post weekly "how I save posts" showing the break downs of my deals that week. I also did a couponing how-to post that explains where I get my coupons and some pointers! The question I get asked most is where I get my coupons and that post covers it all! -I also like to share spiritual things that I am learning, if you're interested you can check out the post I did a few weeks ago about Rest. -My Mother in Law, Janet, was diagnosed with stage 3 Ovarian Cancer in February. I've been blogging along side of her throughout her journey. -I used to/still try to blog weekly meal plans with recipes. I LOVE to cook, but I've been busy lately so it has been hard to keep up. -I love to do giveaways and to help out my friends. I sew in my free time and make custom burp cloths and towels. This is a post I did about things I sew and this is a DIY rosettes post and this shows the kitchen towels I make. I mostly sew things as gifts but one day I'd like to actually make more of a business out of it. I can't wait to check out y'alls blogs and read all the fun stuff you all write about!! Hey Neighbor! 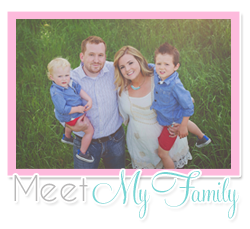 I am so glad you blog and I always enjoy catching up with you and your sweet family! Praying for Janet so much! Love y'all! Visiting from Jenna's Journey! In your "About Me" post you mentioned NW Arkansas. When my hubby & I drove from Iowa to Texas to elope last summer we went through the NW corner of Arkansas and I just thought it was BEAUTIFUL!!!! Thanks for stopping by my blog. And - I am so glad I read your post. I will definitely be following to check the progress with your MIL. My family has been participating the Dallas Area Ovarian Cancer walk for about 7 years, now. We walk with a large group called Gayle's Gang in honor of my mother's best friend. Your family is beautiful and hopefully I will learn some recipes and more money saving tips by becoming a reader! Hi there! Stopping by from the blog challenge. Thanks for stopping by my blog. I can't wait to check out more of your blog. I'm especially interested to see how you save and your sewing craft projects! I got a sewing machine for Christmas and have yet to make anything. I'm also praying for your MIL. Your little boy is just adorable:) Looking forward to reading more posts!